I am launching a Minecraft series called 'Kings At War'. It is an SMP type series, but with wars between participants. I did this series in 2015 with four other people on a very small island less than 1000 x 1000 blocks. I decided to do it again, but this time with 15-20 people and a massive island map. This map may not seem that huge in the picture, but it is enormous. 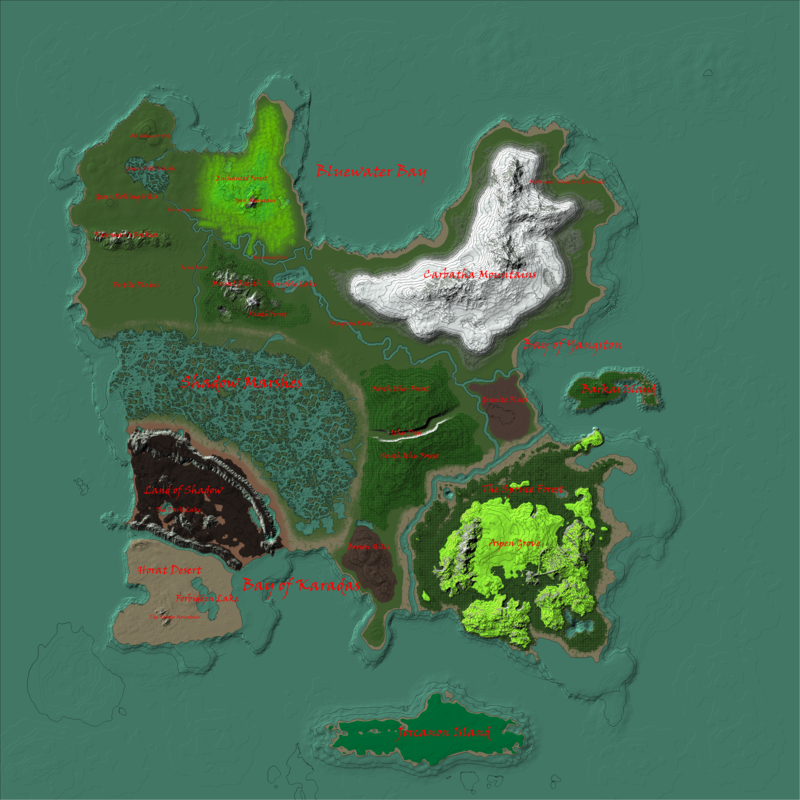 It takes several in-game days to traverse from the top left to the island on the bottom. This server will allow participants to declare war on other people (24 hour grace period before pvp can occur) while also building unique bases, castles, and houses. - No random killing, killing is only allowed during War. - War can be declared on anyone, but once you declare war there is a 24 hour grace period before PvP can occur. - No chest looting, chest looting is only allowed during War and when the other person is online. - If you kill someone during war, you can keep what they drop. - Do not be a jerk, if you kill someone, give them time to get new gear, don't spawn kill. - The minimum length of a war is 2 days, both sides must agree to end a war. - No watching other peoples videos/streams to get information on where they hide chests or where their base is located. - Just be honest and follow the rules, don't ruin the server for everyone. If you are interested, post your Discord and YouTube channel below. You don't have to be a youtuber to participate in this series. We currently have 5 of the 15-20 people, the main thing we are looking for is that you are cool and mature and have a decent microphone. I think my team and I would be interested!